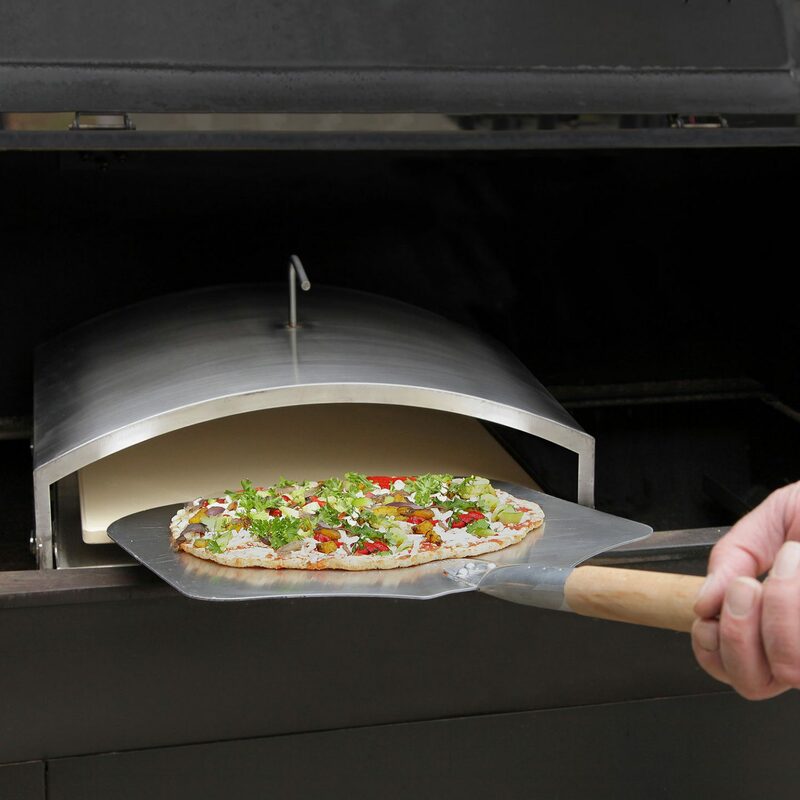 Convert your GMG Pellet Grill into a Wood-Fired gourmet pizza oven. 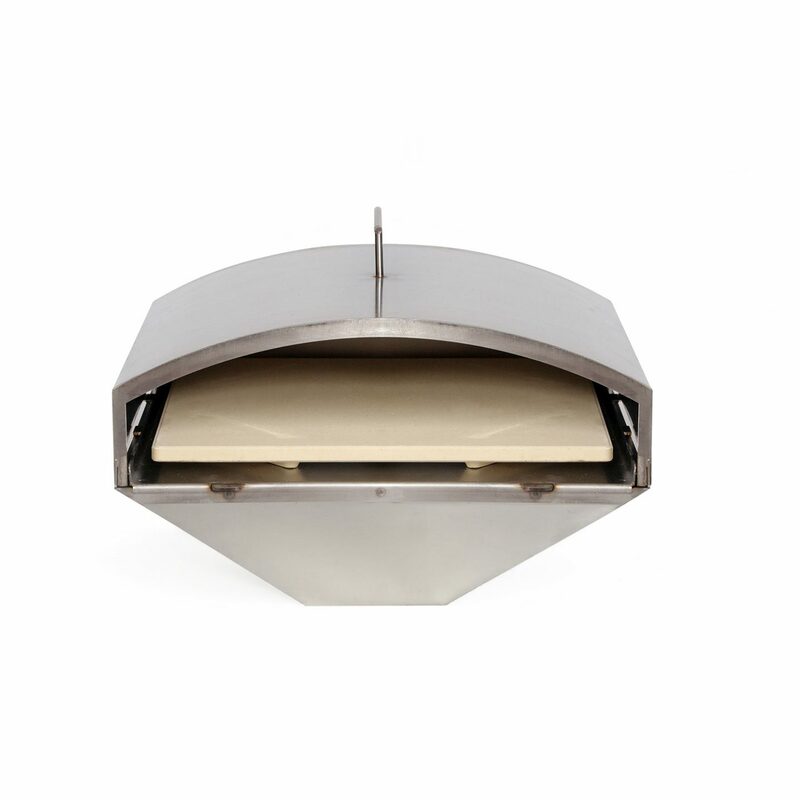 The pizza oven attachment captures and funnels the heat from the Firebox directly up and into the steel baking chamber encasing the pizza stone. This process raises the internal temperature of your pellet grill to that of a real wood burning pizza oven. 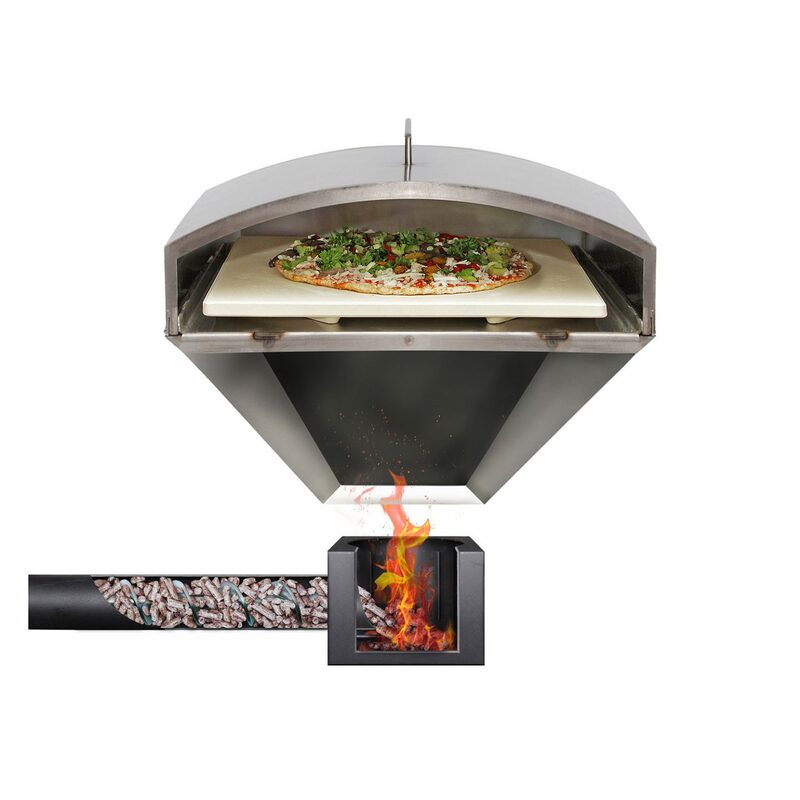 It creates temperatures upwards of 425°c, allowing you to cook ristorante quality pizzas in 2-4 minutes. It’s also useful for baking bread at 205°c – 315°c and searing steaks at 480°c.